Fundraising among non-traded REITs is at its lowest level in more than 13 years, and it’s likely to drop even lower this year. The expected total of $4.5 billion is potentially the lowest since the $6 billion raised in 2005, according to figures from Summit Investment Research. Historical capital raises peaked at $20 billion in 2013, dropping to a mere $4.8 billion last year. JLL Income Property Trust has amassed a $2.5 billion portfolio comprising 70 properties across the United States. One of its most recent acquisitions was Jory Trail at the Grove, a 324-unit, Class A apartment complex in Portland, Ore. In 2016, the U.S. Securities and Exchange Commission approved amendments to rules on customer account statements (Financial Industry Regulatory Authority Regulatory Notice 15-20), which included modifications to requirements relating to the inclusion of per-share estimated values for direct participation programs and unlisted REIT securities on account statements. The same year, the (DOL) also issued final rules expanding the definition of “investment advice fiduciary” under the Employee Retirement Income Security Act of 1974, automatically defining any financial professionals who work with retirement plans or provide retirement planning advice as a fiduciary. But in February, President Donald Trump directed the DOL to re-examine the rule, delaying implementation. “The broker-dealer networks pumped the brakes on sales until they had a chance to digest the potential impact these new rules would have on their customers,” explained Ernst & Young partner Chris Johnston. The regulatory changes have scared off some advisors, which are focusing on non-traded REIT products that fall outside FINRA 15-20, noted Summit president Michael Stubben. And until the DOL Fiduciary Rule is fully implemented and requirements understood, it will also continue to impact fundraising. However, an increase in fiduciary responsibility is helpful in general, noted CapStack Partners CEO David Blatt. It gives investors a comfort level that their advisor is properly screening investment opportunities such as non-traded REITs. That sense of protection, along with an increased appetite for specialized alternative investments, sets up a growth environment for non-traded REITs, he said. There has been particular appetite for non-traded REITs diversified in property types and geographies as opposed to the single property types popular 10 years ago. JLL Income Property Trust, once overweighted in grocery-anchored retail and warehouses, has been rapidly expanding its apartment holdings to include assets like the 210-unit The Reserve at Johns Creek Walk in Duluth, Ga. Overall, non-traded REITs remain a good vehicle for high-net-worth investors to gain access to commercial real estate, which is performing better than the bond and stock markets, pointed out JLL Income Property Trust president & CEO C. Allan Swaringen. There has been particular appetite for those diversified across property types and geographies, while non-traded REITs focused on single property types are seeing reduced capital flows. JLL Income Property Trust, for one, had been overweighted toward grocery-anchored retail and warehouses, and has been rapidly expanding apartments as a share of its $2.5 billion portfolio. “We have high-net-worth investors and our goal is to pay regular dividends. 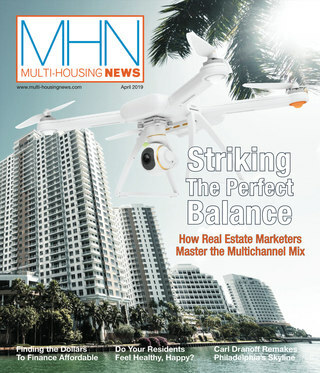 Apartments have the best fundamentals and values right now,” Swaringen said. The non-traded REIT industry has also recently seen some consolidation, with even some industry stalwarts—like W.P. Carey Inc.—choosing to exit, he continued. Inversely, more companies with long histories and track records, like JLL Income Property Trust and Blackstone, are entering. They have been followed by new users and distribution partners, including a greater presence of broker-dealers. “As more institutional players come into this space, some of the legacy players will no longer be able to compete or go through additional consolidation,” he added. Another change has been the introduction of crowdfunding, initially the realm of smaller institutions seeking to raise equity. Lack of liquidity is also hurting fundraising. Investors typically have a five- to seven-year hold expectation, Stubben said, and less reason to sell in the current climate. But investors want money back to reinvest. “(This) highlights a significant conflict of interest between sponsors, who want to collect management fees, and investors, who want liquidity events,” he noted. Additionally, traditional non-traded REITs are not selling as well over the new product forms of net asset value and interval funds, which provide investors with liquidity options, said Daniel Goodwin, principal & chairman of The Inland Real Estate Group LLC. Stubben said investors experienced some capital losses during two sizable liquidations this year: those of CNL Lifestyle Properties Inc. and Hines Real Estate Investment Trust Inc. “Overall, we expect much less IPO activity this year, as sponsors hold onto assets under management to collect fees while they wait for a rebound in fundraising,” he said. There was a post-recession IPO uptick as newer funds bought assets at rock-bottom prices, Goodwin noted. As prices recovered, sponsors listed their funds at a premium for their investors with an IPO. Now, asset values are not rising as fast, leading to a slowdown in activity. And the values for traded REITs have dropped dramatically in some sectors, which combined with the costs associated with IPOs will further dampen such events. The jury is still out on whether a fundraising uptick is finally on the horizon. But given investors’ increasing interest in private and direct investment in real estate, Blatt said, an extension of broader interest in alternate investments will help drive growth. 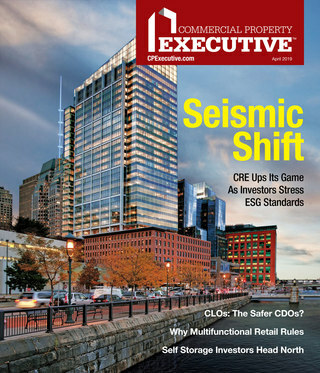 Originally appearing in the September 2017 issue of CPE.